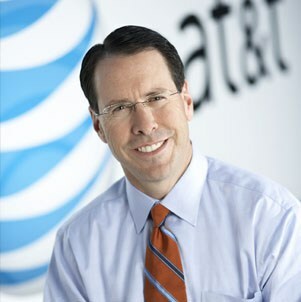 cable television Archives · Stop the Cap! 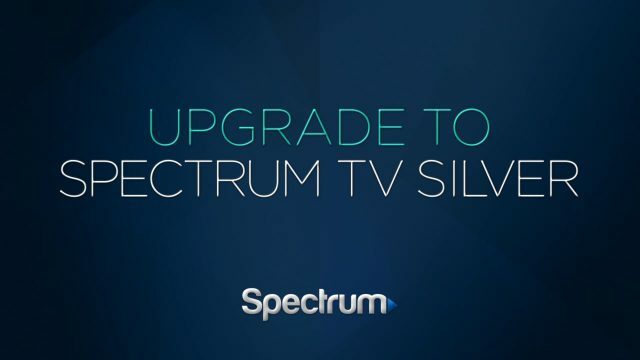 Spectrum cable television customers with Silver or Gold tiers will find two premium channels have disappeared from channel lineups, with no corresponding decrease in rates. 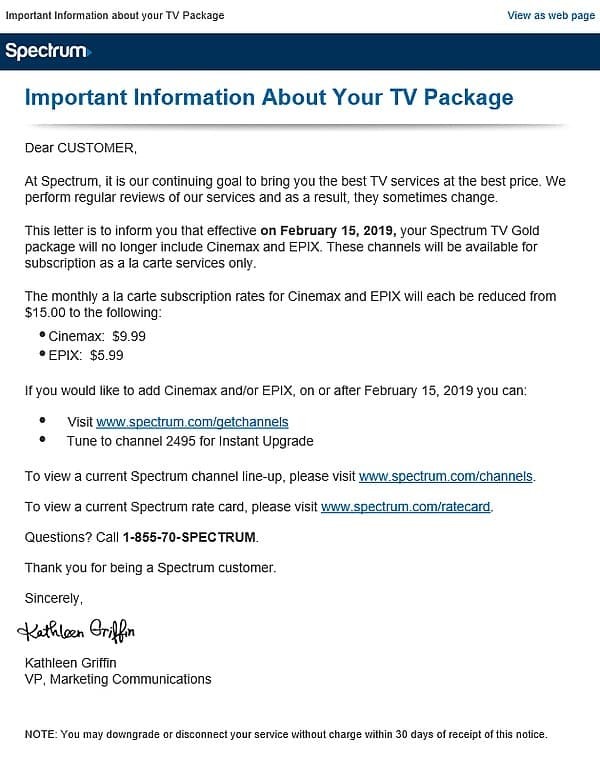 This hidden rate increase took effect Feb. 15 after Spectrum dropped Cinemax from its Silver and Gold packages and EPIX from its Gold package, with little explanation. 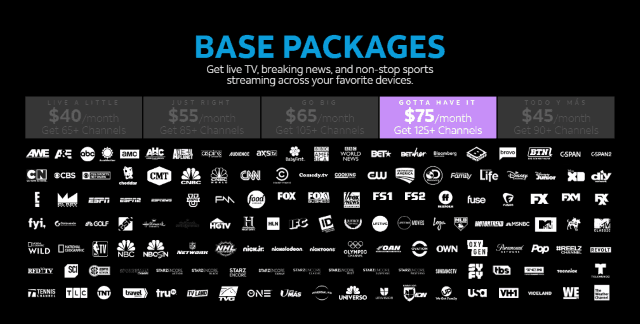 Customers have been notified they can acquire these channels a-la-carte, for an additional $9.99/mo for Cinemax and $5.99/mo for EPIX. 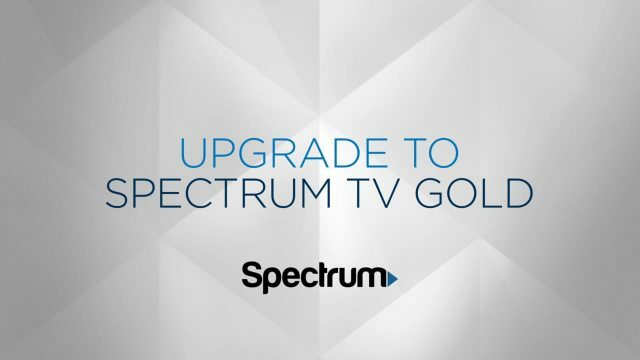 The premium network cutbacks were originally planned to be significantly worse, however, after Charter Communications notified some customers it was also planning to delete Starz and Encore from its Gold tier, potentially making the $40 add-on not worth the price. 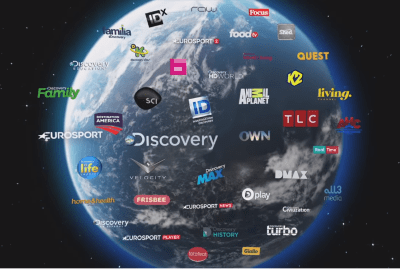 Just days before the changes were to take effect, Charter changed its mind about Starz and Encore, allowing those channels will continue to be available as part of the Gold package. Some customers are upset about the changes. Silver Plan customers qualify for one year of Cinemax at no charge, after which the network will cost $9.99/month. Gold Plan customers qualify for one year of Cinemax -and- one year of EPIX at no charge, after which Cinemax will cost $9.99/mo and EPIX will cost $5.99/mo. 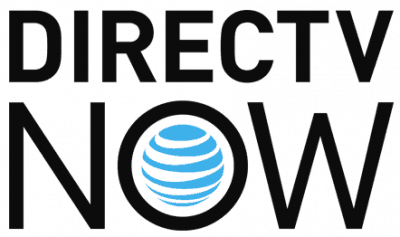 Customers can ask about these promotions when they call. While no expiration date was available on these offers, it makes sense to call sooner rather than later in case they disappear. It could have been worse. 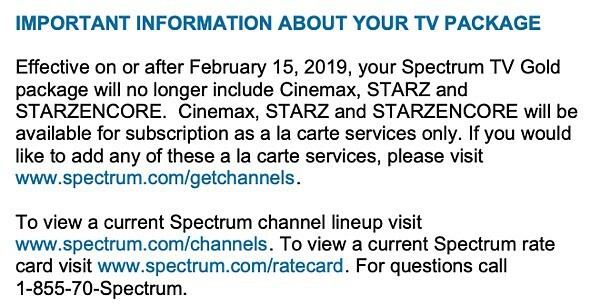 Spectrum notified many of its subscribers the premium network cutbacks originally envisioned also included Starz and Encore. 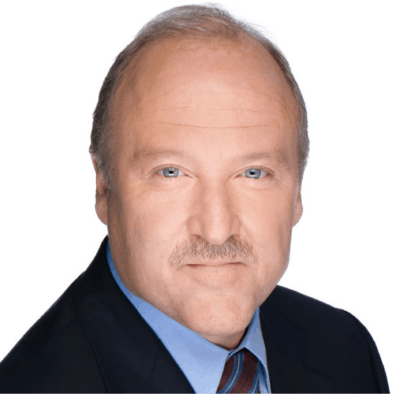 Charter changed its mind, but it was too late to stop notifying some subscribers about the channel deletions.